I hope that everyone has been working feverishly on completing their needlework and craft projects. June will be upon us before we know it. 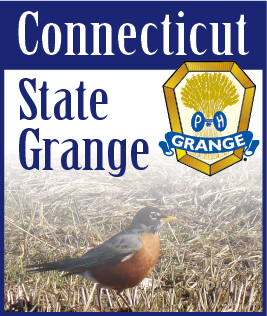 I have been pleasantly surprised by the interest in the National Grange Quilt Square contest. Just a reminder that they do not have to be brought to “Let’s Celebrate” Day in June. They have to be brought to State Session in October. A correction from the Blue Book regarding the day before “Let’s Celebrate” Day. The items to be brought in for judging must be there by 9:00 a.m. and not 10:00 as printed in the Blue Book.